This one is most definitely my favourite pizza recipe as it’s just so simple. 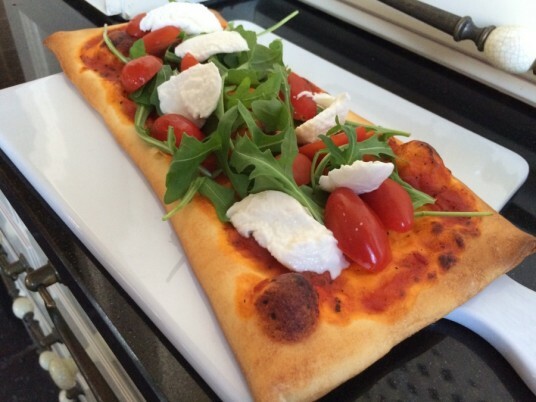 In fact it does not even require the making of dough as it’s a shortcut recipe with ready-made pizza dough being used. The inspiration behind this recipe came from Bella Italia and their low cal menu options. However if you are looking for a cook from scratch pizza recipe then there are two more here at the blog – a normal crust and a deep dish. If you want to crack on there’s also a no wait easy peasy deep dish pizza recipe also to follow. so excited try your crust recipe! I have white broccoli pizza on the menu for this week but needed a crust recipe- thank you! The timing is perfect.